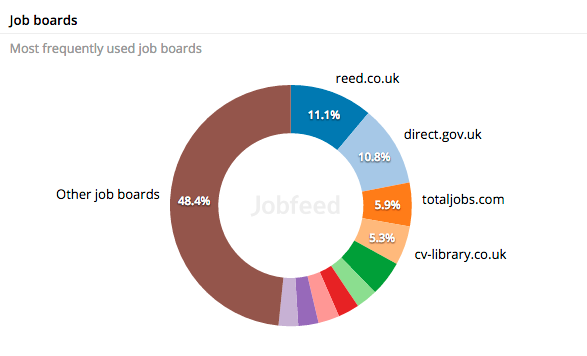 Jobfeed analyses job market data and offers users great insight into the demand side of the labour market. 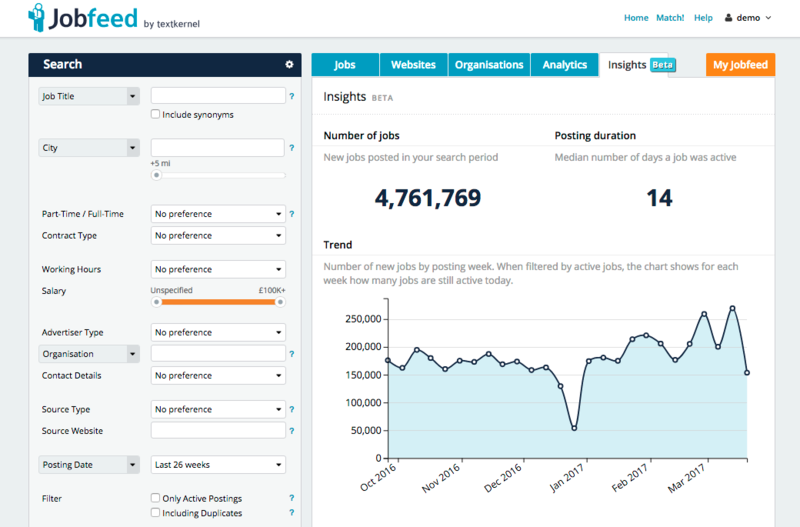 With the new release, Jobfeed now provides visualisation of this data, creating automated reports to grasp concepts and data from the labour market better. Visually presented labour market information helps decision makers to better comprehend huge amounts of data and to identify certain trends. This supports them in their strategic decision making processes. The user can easily see which profiles are hard to find, the average salary, the time to hire as well as which companies are looking for these candidates. On top of that users can also analyse specific companies and get insights on their posting and recruiting behaviour. The first version of Jobfeed Insights is in beta and will be available for all current Jobfeed users. After gathering feedback, Textkernel will add more features. Are you a Jobfeed user? Login and have a look at the new feature! If you are not a customer yet, sign up and test Jobfeed for free! Jobfeed is Textkernel’s Big Data tool for jobs that automatically searches the Internet for new job ads every day. The jobs found are automatically entered in Jobfeed and classified by criteria such as profession, required qualifications, location as well as the company name and whether it is an intermediary or not. The data can then be enriched, for example with job synonyms, sector information and company data. The user-friendly Jobfeed portal makes it easy to search for all jobs, produce analyses, identify sales leads and set up job alerts.